Farrell’s reconsideration of national literature is one which turns an eye towards marginalised narratives, seeking equivalences and apperceptive differences, exploring an incorporative archive of nation which condemns a monohistoricising narrative of Australia as ‘still active in erasing, not only Aboriginal History, but the history of that erasure.’ Farrell’s examples, as with his scholarship, are typified by anti-hegemonic writing, attesting to the diverse networked histories of place and nation; what Farrell presents is an acute articulation of the nation ‘by other means’. Farrell’s achievement is that he presents to the reader a careful analysis of the textual production and historical orientation of texts which may constitute a new model of Australian literature, and speaks to the possibility of ‘new reading and writing networks of the historical and the contemporary that attend to different literature’ than those dogmatically held by national myth. Australian Literature, Farrell argues, ‘is not and never was, settled’; arguing that the bleaching of the historical record is to our nation’s detriment. By unsettling the record Farrell hopes to establish a richer relationship between the authoritarian version and the historical, which include narratives of place and personhood not reflected in the story Australian literature tells. Farrell has a unique ability to strike at the heart of a text, to unpick authorial meanings, intentional or not, and his examinations are typified by an exquisite grasp of the modes and means of textual production, considering the implications of editorial control, visual prosody, style, syntax and punctuation usage in his readings of a source’s affects. Considering an array of highly varied texts, Farrell’s critique focuses on textual iterations of resistance and means of expression in each text’s given historical orientation, asking, as a guiding principle, What acts is this text performing? From Mead’s Networked Language Farrell takes the notion of ‘unsettling’, rereading lost or forgotten texts for the manner in which they might break up or rupture ‘the historical assembling of the nation both as concept and as ongoing enforcement’ of the narrative and policies which came to be known retrospectively as ‘Australian Settlement.’ Farrell’s ‘reconstitution of Australian literature’ begins with Mead’s unsettlement and relies in its readings on Deleuze and Guattari’s notion of ‘assemblage’, for ‘its ability to refer to different scaled structures’ and to allow for analysis of ‘the implications of agency’ present in a text’s ‘multiplicity, difference and materiality.’ From this position Farrell works to explicate the networked history of a source text, to contextually reconsider poems for the manner in which they ‘unsettl[e] the excluding community of the Australian poem, and of unsettling the assumed cultural hegemony of the pragmatic’ narrative of Australian settlement. Enliven and enrich Australian poetics by creating more interest in the colonial era; to provide points of comparison that go beyond the city versus the bush paradigm; to include Indigenous writing in Australia’s poetics history from the beginning; to unsettle automatic genre divisions made between Indigenous and non-Indigenous writing (and male and female); to insist on a more complete vision of the work of writers within the canon (Harpur, Brennan, Mackeller, Fullerton); to contribute to a history of Australian visual poetics; and to suggest new approaches (via punctuation, the page, etc) to reading apparently established (settled) texts. It is with this aim that Farrell applies this directive to his diverse and numerous source texts. His examinations include the paradigm of the hunt, in which the author is both hunter and prey, in readings of Bennelong’s ‘Letter to Mr Philips, Lord Sydney’s Steward’ and Ned Kelly’s The Jerilderie Letter. Kelly’s Letter is further scrutinised in Farrell’s second chapter, ‘An Australian Poetics of the Plough’, in which the Kelly Letter is read through convict-Irish settler inheritance and anti-pastoral models of poetic discourse, unsettling Kelly’s role as content in the creation of an unsettled vision of early Australian mythos. Jong Ah Sing’s The Case is a curious case study, read, as with Kelly’s example, via a poetics of illiteracy, and contextualised in the untold history of nation. Dorothea Mackellar’s Coded Diaries and Norman Harris’s ‘Letter to Jim Bassett’ allow Farrell to discuss ‘open secrets’ and continue his analysis of colonial anxiety as an undercurrent of Australian life-writing. Charles Harpur’s ‘Note to the Song of Good Night’ and Mary Fullerton’s ‘Bromide’ are analysed for the manner in which they reveal the dayliness of settlement life, and the affects of boredom to ‘enact a formal dissatisfaction’ with the everyday in Australian letters. Farrell’s hermeneutic readings of editorial control in the production of texts is provided in his layered reading of the production of Ngarla Songs. Farrell’s articulate analysis of Christopher Brennan’s Musicopoematographoscope provides an in-depth analysis of the book as assemblage in the chapter ‘Unsettling the Field’. The chapter ‘Writing to Order’ speaks to dictates of authority, control and subservience in the forced settlement of Indigenous People in Gladys Gilligan’s ‘The Settlement’, written under the direction of A.O. Neville, the Chief Protector of Aborigines. Finally, Farrell discusses nomad poetics and the ontology of homelessness in the settler diaries of Ann Williams and Sarah Davenport’s travelling diaries and Charlie Flannigan’s Baroque drawings from 1893. Readings of Drover bush texts and Wiradjuri club drawings allow Farrell to link the materiality of texts with the kinetics of homelessness in contributing to the Australian record of unsettlement. 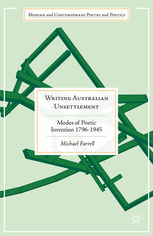 As testimony to the bio-diversity of Australian settler writing, the texts examined allow Farrell the means to disassemble the myth that Australian literary history is complete, and through the application of ‘counterlenses’ Farrell analyses acts of resistance throughout our networked poetic history. As an attempt to explicate and analyse Farrell’s scholarship this review will focus on a small number of Farrell’s diverse selections of texts. Given the dual axioms of Farrell’s readings of Kelly’s Jerilderie Letter, I shall begin with an analysis of this, then move to Farrell’s readings of Jong Ah Sing’s The Case and his reading of homelessness as an approach to unsettling Australian literature. Farrell’s analysis of Kelly’s The Jerilderie Letter is two-fold; with Bennelong, he reads Kelly’s Letter as a literary manifestation of the author as hunted and hunter, as well as critiquing Kelly’s legacy as content in the Western motif of Australian literature. As Farrell writes, ‘It is not as a bushranger or even a cop killer that Kelly does anything that is, ultimately, disruptive of settlement, but as writer.’ He continues, ‘We don’t make icons of leaders of Aboriginal resistance, that one has been made of Kelly marks him as an aspect of settlement.’ Acknowledging yet critiquing the myth of Kelly in the ‘settled usage’ of Australian legend, Farrell is persistent in his readings of the nexus between the literary and the political in his readings of unsettlement. In the first chapter Farrell reads Kelly’s Letter as an ‘exemplary unsettled, even homeless text,’ which ‘rejects the compromised and compromising life of settlement, of harassment by police and squatters. 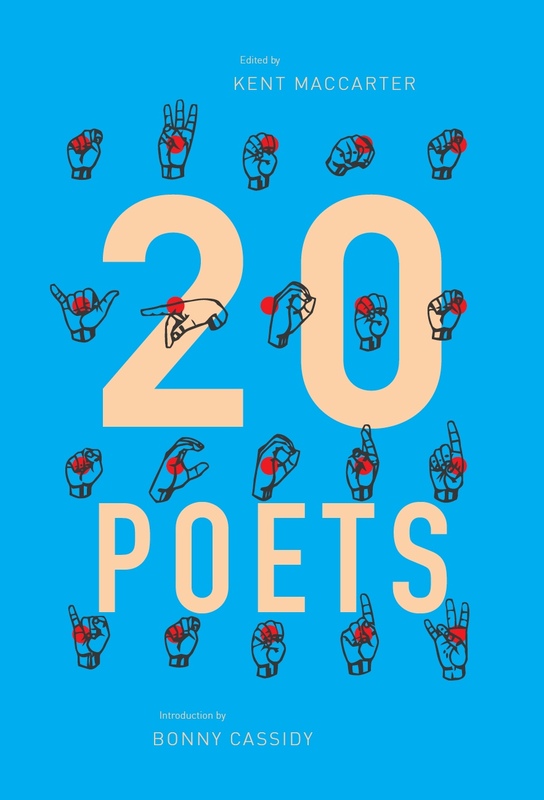 It defiantly rejects the authority of the English and their law.’ The identification of this text as radically unsettled disrupts all attempts to privilege authorial voice over the work’s content and its inclusion in anthologies of Australian literature. Farrell’s grasp of utterances of resistance in Kelly’s Letter, as with Bennelong’s ‘Letter to Mr Philips’, is detailed in his analysis of the creolisation and ‘forced transculturation’ of Kelly’s Letter and leads to his understanding of a poetics of illiteracy which acknowledges the impossibility of writing freedom in Australia, from outside positions of power. Farrell’s reading of resistance in the Kelly’s slippages of syntax and rhythm mark it as an unsettled text. 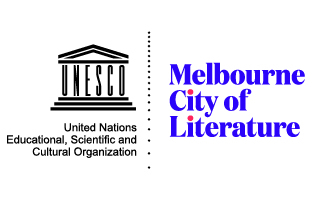 Typified by illiteracy, The Letter enacts what Jed Rasula calls ‘adherence to language as a primary resistance.’ Farrell argues that the inclusion of Kelly’s Letter in Australian literary anthologies willfully ignores the subversive elements in the text for the sake of ‘settling’ Australian literature. Farrell reads the edited, published versions that are typically anthologised as eschewing the poetics of error, or the illiteracy of the original – that is, denying the unsettling aspects of the text – and argues for an analysis of the original to understand its distinct poetic effects. This entry was posted in BOOK REVIEWS and tagged Jong Ah Sing, Matthew Hall, michael farrell, Ned Kelly, Philip Mead. Bookmark the permalink.